Relax, throw your keys on the counter, and make some rich hot chocolate in our gourmet kitchen with custom granite counters, cabinentry, and stainless steel appliances. Our home truly has it all. First off, for your vacation planning needs, we have provided a notebook with all of our recommendations for skiing/boarding, dining, nightlife, and non-ski activities at your fingertips. Over countless trips to Park City, we have selected the best, so you do not have to try to find that perfect spot. The location of our home is quiet but yet close to all the action. Two minutes to Redstone shopping/dining, two minutes to the outlets, less than 10 minutes to Park City Main Street. Yes, everyone has to go into Main Street a few times during the stay, but there are some great local restaurants and bars outside of Main Street, which are just as good and without the prices. The main floor of our home provides an open layout perfect for entertaining. A large flat screen sits over the gas fireplace and is connected to a HD TiVo with all premium DirecTV channels. A top of the line sound system is provided along with an IPOD dock and PS3 gaming console. There is ample comfortable seating so that your group can curl up and watch their favorite movie or sports program. In addition, a new top of the line hot tub and gas barbeque are located on the outside deck off the main floor. For those wishing to work on holiday, a small desk with high speed ethernet and Wifi connection is provided. All furnishings in the home have been custom selected to provide a luxurious but mountain feel. We are certain you will enjoy. The beds, linens, and pillows are high quality...reminiscent of the many 'heaven beds' we have slept in around the globe. The Master Bath is large with double sinks, separate shower, and deep soaking tub with it's own flatscreen TV. 3 of the 4 bedrooms have flat screen TVs (3 oversized HD TVs) installed with a DirecTV receiver. For the summer months, a 2 zone central A/C unit is installed for your comfort. We keep this house as mountain chic as we can...please enjoy. If need be we can arrange for concierge services so you can have your refrigerator stocked for your first night of arrival. Additional property information is available upon request. We are young and athletic, thus Park City is a perfect place to visit. We love the restaurants, nightlife, mountains, scenery, golf, and people. 1 Cordless Phone, Local Calls only. 2 Car Garage with Ski Racks. Luxury Stainless Steel applicances, open kitchen. Granite Countertops and Breakfast Bar for 4. 5 Flat Screen TVs. Large Screen in Master and bathroom, Queen, Double Room, and Living Room. DirecTV with ALL Premium Channels! HD TiVO in Living Room with Premium Surround System! During summer months, community pool; and all year, the recreational community building is available. It contains gym equipment, and large TV. Private Top of the Line Hot Tub on Deck with privacy rails. Hot Tub is serviced weekly. This home has been custom furnished to provide the maximum relaxation experience. Through all of our travels, we have tried to incorporate all the finer details to make your stay a great experience at a great value! Lovely Master Bedroom with custom oversized bed, LCD TV, and large Master Bath. All furnishings and bedding are top of the line. Home Theater System on the open, main floor layout provides a great entertaining venue. PS3 is provided for your gaming/video pleasure. IPOD alarm clocks in each bedroom. Bear Hollow Village is nestled at the base of Utah Olympic Park. The property is far enough away from the hustle and bustle of Park City, but still close enough to enjoy all the local restaurants, shopping, ski areas, and night life that Park City has to offer. There are many local restaurants and shops within a 2-minute drive from our home. This property was spacious and clean, and the amenities included were first rate. Richard was great to work with. This was our 1st stay at one of Richards locations. We had 9 people from 15 to 56. Everyone commented on how beautiful the house was and how spacious. We all felt that we were at a mountain retreat. Love the heated floors in the bathrooms, big comfortable beds, and an awesome kitchen and dining room for family dinners. The location was really easy to find and the scenery is just gorgeous. Shopping near by and skiing right up the road. We would definitely book through Richard again. Thanks so much for helping us find such a wonderful place to spend our Christmas together. This is my second time staying at one of Richard's locations. This house is beautiful, well kept and has everything one would ever need for a short or long term stay. It truly feels we are staying at our friend's home. I would definitely stay at one of his properties again. The beds are great, Big Tv's, great Jacuzzi, well stocked kitchen and each room has humidifiers as it gets pretty dry in the winter. Just well thought out. My family travelled from all over the country to meet in park city for a ski vacation before christmas. This home was such a great place for us to stay! It was easy to find, beautifully furnished, and very comfortable for our large group. The kitchen was nicely stocked with everything we needed to cook in. 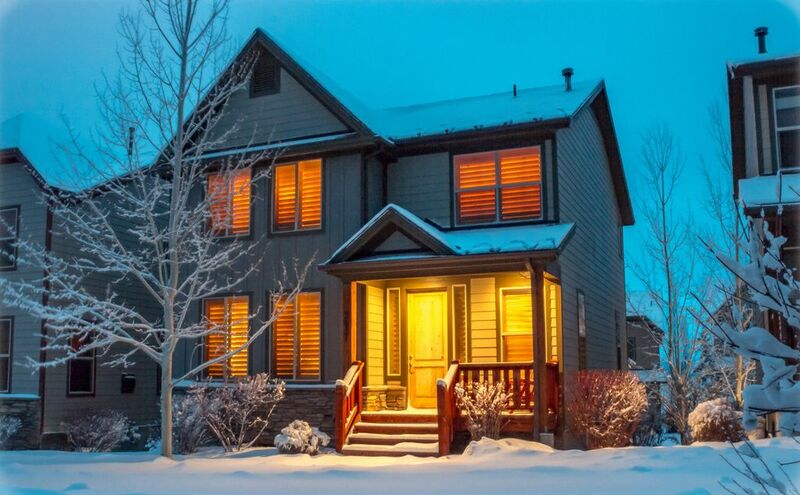 The home is about a mile from the canyons resort, and 5 miles from downtown park city. Close enough for convenience, but a bit out of crowded downtown. The owners were very responsive to any questions or needs we had. We would definitely stay here again! We had spring break in this rental and it was perfect. We had 2 families, 10 in our group and the house was spacious and comfortable. All appliances were in great shape and worked well. The location is great!! !Very convenient to Canyons Resort and the other ski areas, and not far from main street either ..Grocery store and Starbucks in walking distance!! !WE all had a great time...Rental arrangements were easy and communication with propery manager/owner was friendly and prompt. Sundance Film Festival is in January each year, Deer Valley Music Festivals, Alpine Slide at PCMR, Founders Title Folk & Bluegrass Festival, Novell Utah Showdown Golf Tournament, Park City Jazz Festival, Steepest in the world Zipline, Bobsled, and other activities such as Snowshoeing and Sleigh Rides. And now with the new walkway tunnel, it is just a 15 minute walk across the street to Redstone. Redstone has plenty of restaurants, a movie theatre, high style bowling and dancing, outdoor concerts and entertainment, medical facility, grocery stores, shopping and supplies.